I was wondering if there's a way in Illustrator CC to export artworks containing multiple artboards, to multiple single-paged .pdf files, as Illustrator already does for images like .jpg files. 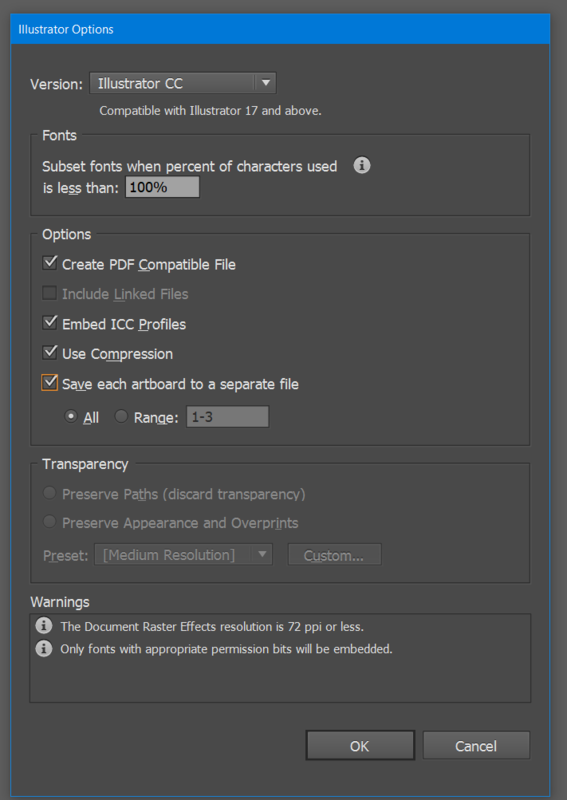 The plugin @Gramps mentioned is a valuable solution for those who don't need a precise control over PDF settings. So my question moves just a little bit further, as I need precise control over PDF settings, to pursue high quality and printable vector .pdf filess. Choose PDF as format (Press the settings icon to change preset). Enter name into the Prefix window. The name of the artboards should append after that name. I don't know if you are running Windows or Mac though? I cannot say if it is any different on Windows, as I don't run Illustrator on Windows. 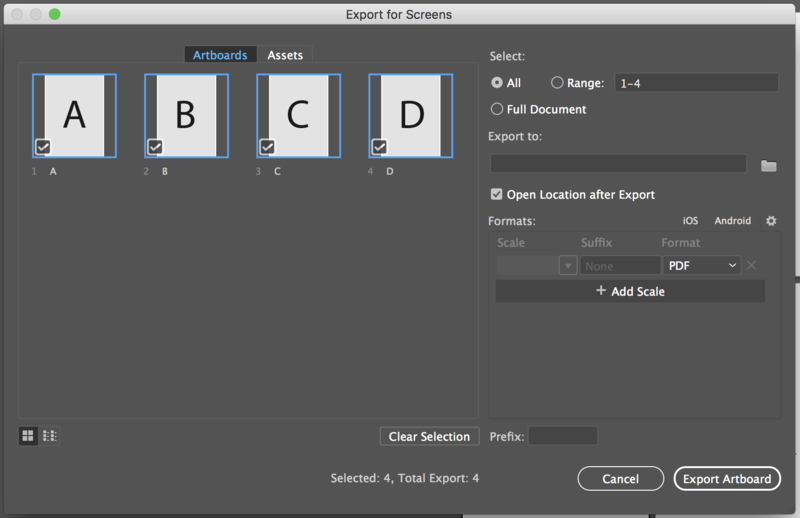 There is a free script available called MultiExporter which can export artboards to PDF, JPG, PNG and EPS. Just add it into your Illustrator scripts folder and it will appear under File > Scripts > MultiExporter. The best part about this plugin is that it keeps the artboard names intact when exporting. Note however that the script uses the last used PDF export settings. You may want to uncheck "Trim Edges" if exporting as a PDF - this feature is a bit unreliable. I highly recommend the Smart Layer Export plugin. 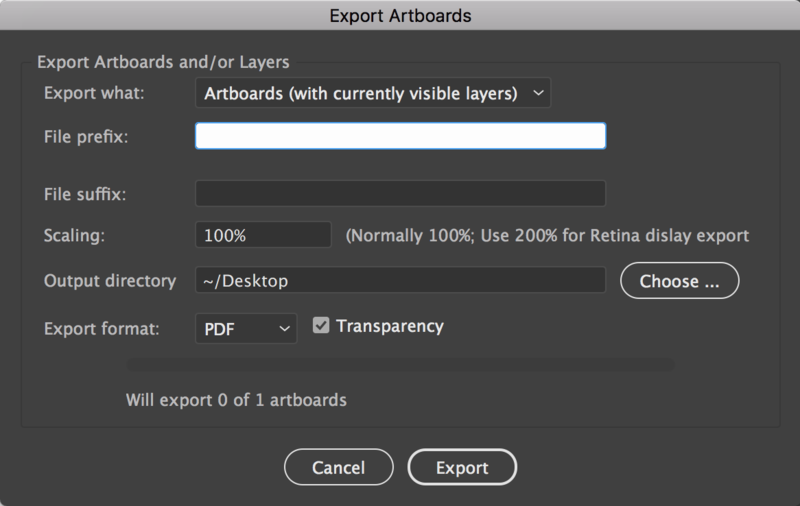 It lets you export artboards (and layers, as the name implies) to many formats, including pdf, and lets you specify many parameters in the export format, naming etc. Top toolbar becomes visible, click "Extract pages as separate files"
Where the "extract" option fails is when you are opening in RIP software for printing. You are not really extracting individual pages. Try opening them as individual, and you find it contains ALL of the artboards. RIP software will try to process all of the artwork contained. I need the ability to export 50+ artboards with cut layers as individual files. You can then simply use the generate .ai files like an pdf or run some batch processing on them to gain precise control over the pdf settings. Using Adobe CC Acrobat, open your multi-page PDF. This is the easiest way I've found. There might be a way to do it in Illustrator now, but if so I haven't found it. Not the answer you're looking for? Browse other questions tagged adobe-illustrator pdf export creative-cloud or ask your own question. Editable PDFs via Illustrator or InDesign?